All domain controllers run Windows Server 2008. You need to ensure that you can install an Exchange Server 2010 server in the Active Directory forest. You plan to deploy an Exchange Server 2010 Client Access server on a new server. You need to identify the operating system required for the planned deployment. The solution must minimize software costs. DAGs use Windows Failover Clustering technology, and as a result, they require the Enterprise version of Windows. You have an Active Directory forest that contains one domain named contoso.com. The functional level of both the forest and the domain is Windows Server 2003. All servers have Exchange Server 2003 Service Pack 2 (SP2) installed. You plan to transition to Exchange Server 2010. You need to prepare the Active Directory environment for the deployment of the first Exchange Server 2010 Service Pack 1 (SP1) server. Preparedomain isn’t even a correct switch. You could argue that prepare legacy exchange permissions is also correct as this would be the first switch you would run if running them individually, followed by prepareschema. However preparead will run prepare legacy exchange permissions and prepare schema if it detects they have not been run. You have an Exchange organization that contains Exchange 2000 Server and Exchange Server 2003 Service Pack 2 (SP2) servers. You need to prepare the Exchange organization for the deployment of Exchange Server 2010 Mailbox, Client Access, and Hub Transport servers. A. Install the Active Directory Connector (ADC). C. Deploy an Exchange Server 2010 Edge Transport server. D. Remove all Exchange 2000 Servers from the organization. Ex 2000 is not supported in an Exchange 2010 organization. You have an Active Directory forest that contains three sites named Site1, Site2, and Site3. Each site contains two Exchange Server 2007 Client Access servers, two Mailbox servers, and two Hub Transport servers. All Exchange Server 2007 servers have Exchange Server 2007 Service Pack 1 (SP1) installed. You need to ensure that you can deploy Exchange Server 2010 servers in Site1. organization to Exchange Server 2007 Service Pack 2 (SP2). The Client Access server role can co-exist with Exchange 2007 Client Access servers. Before you upgrade the first Active Directory site, you must install Exchange 2007 Service Pack 2 (SP2) on all Exchange 2007 Client Access servers within your organization. You can add an Exchange 2010 Hub Transport server to an existing Exchange organization after you successfully deploy Exchange 2010 Client Access servers. After you introduce Exchange 2010 Hub Transport servers to your Exchange 2007 environment, you still need to maintain your Exchange 2007 Hub Transport servers. 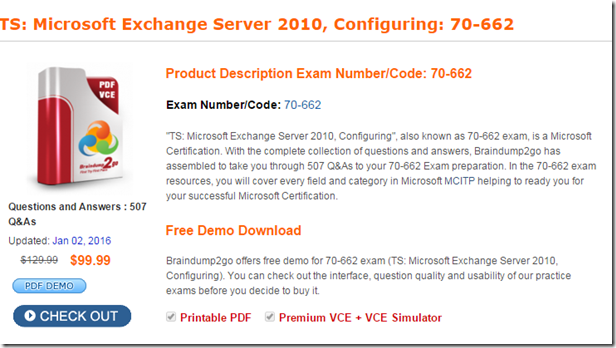 Exchange 2010 Mailbox servers can only communicate with Exchange 2010 Hub Transport servers, and Exchange 2007 Mailbox servers can only communicate with Exchange 2007 Hub Transport servers. When a message is sent from a mailbox on an Exchange 2010 Mailbox server to a mailbox on an Exchange 2007 Mailbox server, the message is first submitted to the closest Exchange 2010 Hub Transport server in the site. This server then relays the message to an Exchange 2007 Hub Transport server in the same site, which finally delivers the message to the Exchange 2007 Mailbox server. The Exchange 2010 Mailbox server role can co-exist with Exchange 2007 Mailbox servers. You can replicate public folder data between Exchange 2010 and Exchange 2007 public folder databases. You have an Exchange Server 2003 organization on the internal network. You install Windows Server 2008 R2 on a new server in the perimeter network. You need to ensure that you can install the Edge Transport server role on the new server. A. Install Active Directory Lightweight Directory Services (AD LDS) on the new server. D. Install Active Directory Application Mode (ADAM) on the new server. To install the Edge Transport server pre-requisites open an elevated Windows PowerShell prompt and run the following command. Note that using the -Restart parameter will cause the server to restart automatically to complete the installation of the roles and features. You have a server that runs Windows Server 2008 R2. You plan to install Exchange Server 2010 on the server. You need to install the Exchange Server 2010 prerequisites for the Unified Messaging (UM), Mailbox, Client Access, and Hub Transport server roles. What should you do from the server? The answer to this one cannot be D, as has previously been said, as WinRM does not include Windows Powershell, so you cannot run the ServerManagerCmd.exe command. This means the answer can only be A or B (as WMF contains Powershell). I have gone for A as there is absolutely no need for MSMQ on the Exchange Server, whereas IIS (for OWA) and RPC over HTTP (for Outlook Anywhere) are very useful.